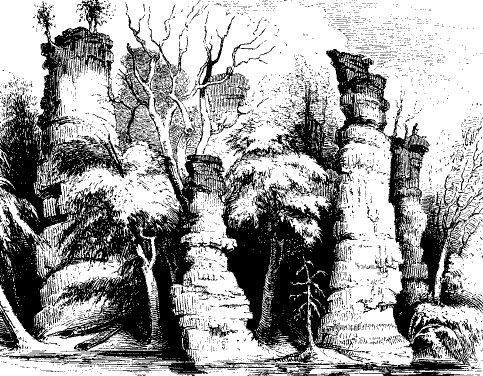 As the calcium carbonate weathered away, the rock became pockmarked with voids and created a "karst" landscape with springs, sinkholes, caves. 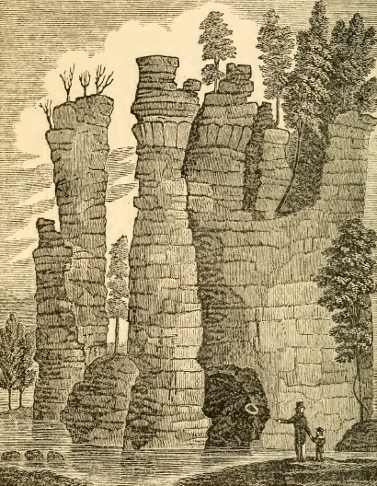 In Virginia, eroded remnants of cave systems are visible at Natural Bridge, Natural Tunnel, and Natural Chimneys. Acid rain may also be speeding up the creation of caves, by increasing the acidity of rainwater. The chemical weathering process is invisible when it occurs underground, but we can see the same process in cemeteries aboveground. On old marble gravestones, once-clear letters have eroded away. The calcium in the marble (which is metamorphosed limestone) has dissolved in just a few decades, until the carved letters on many gravestones are no longer legible. Some minerals, such as silicon dioxide or quartz (SO2), are very hard to dissolve. Go to a Virginia beach and you'll see predominantly quartz sand grains, rather than calcium carbonate grains. Quartz is not very reactive; silicon dioxide is about the last mineral to dissolve, as rocks are washed down from the Appalachians. The quartz resists its inevitable fate of dissolving into the ocean. Granite headstones, with a high percentage of quartz and little or no limestone, retain their lettering longer than marble headstones. 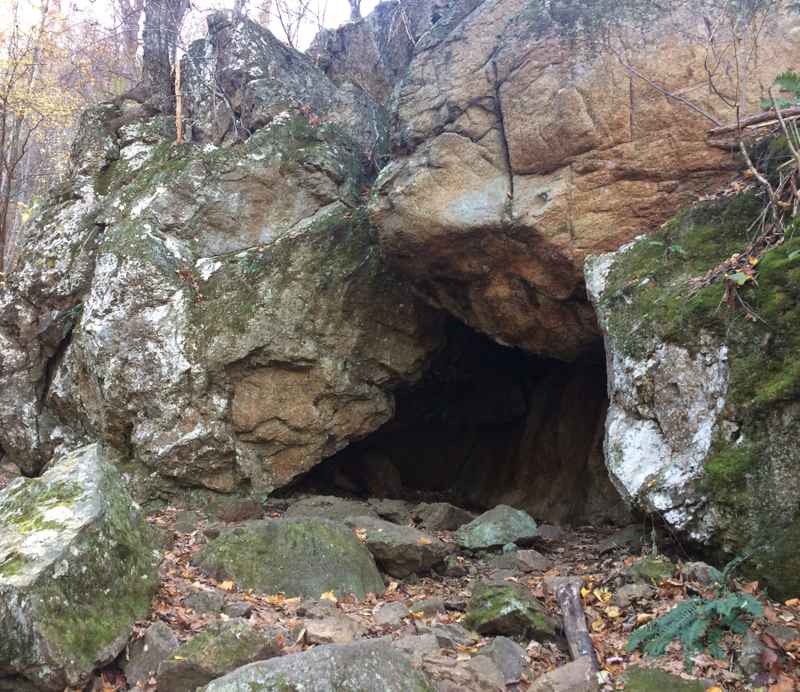 The granite rocks of the Blue Ridge, and the sandstone ridges of Massanutten Mountain, are not riddled with caves like the limestone valleys in Virginia. In a few locations, rocks have fallen or eroded to create overhangs, crevices, and even a few spots tat could be labelled a cave. The metamorphic bedrock of the Piedmont and the sediments of the Coastal Plain also lack caves. There are only a few places in those regions where limestone or calcium-rich marl outcrops on the surface and caves might form naturally. Where calcium carbonate (limestone) is the bedrock, caves will be more common. A map of cave locations in Virginia shows that nearly all the caves are west of the Blue Ridge, in the limestone of the Shenandoah Valley and in the equivalent valleys south of Augusta County. There may be cave-related museum exhibits in the Blue Ridge, Piedmont, or Coastal Plain physiographic provinces, but all the natural caves open to visitors are in the Valley and Ridge physiographic province. Several caves are located in Loudoun County, east of the Blue Ridge. 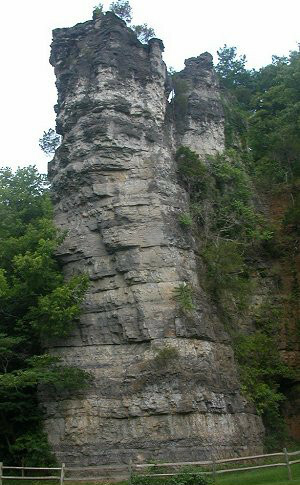 The caverns formed in the Leesburg member of the Balls Bluff siltstone, and that member includes a limestone conglomerate known locally as "Calico marble.") The Leesburg member was deposited in the Culpeper Basin during the Triassic Period. The lakes in which the conglomerate accumulated after big storms must have been visited by dinosaurs, but no dinosaur fossils have been found in that limestone. 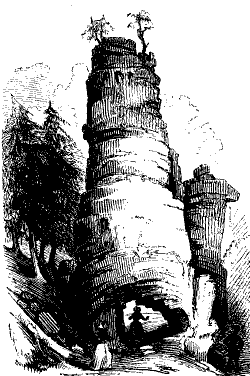 There is one cave in York County, which Cornwallis supposedly used before surrendering on October 9, 1781. 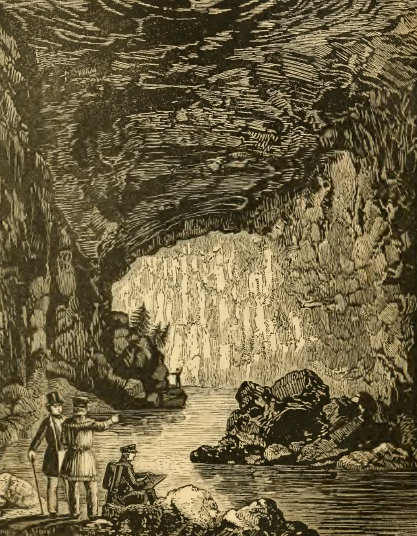 Cornwallis' Cave is not a natural feature. That hole in the hillside was excavated as a shelter from French and American bombardment during the Revolutionary War battle.